As yesterday we said that every rise will be a selling opportunity, below 8000 sharper fall is expected, same move happened today. Now more correction is expected, sell on every rise. Short covering was expected today, selling opportunity below 17600. We may see 16900-17100 level below 17600. Key benchmark indices eked out small gains after alternately swinging between positive and negative zone in intraday trade. However, the overall movement for the benchmark indices was confined to a relatively narrow range. A divergent trend was witnessed among various index constituents. The market breadth indicating the overall health of the market was negative. The barometer index, the S&P BSE Sensex, was provisionally up 87.97 points or 0.33% at 26,458.95. Auto stocks dropped. Mahindra & Mahindra (M&M) (down 2%), Eicher Motors (down 2.2%), Ashok Leyland (down 2.37%), Maruti Suzuki India (down 1.03%), Bajaj Auto (down 1.38%) and Hero MotoCorp (down 0.74%) declined. TVS Motor Company rose 1.34%. Axis Bank fell 3.24%. The Ministry of Urban Development after trading hours yesterday, 10 June 2015, announced that Axis Bank has decided to issue co-branded cards to the users of Kochi Metro for paying the fares. Axis Bank will issue co-branded cards to the users of Kochi Metro for paying the fares as well as using them for all kinds of merchandise including e-commerce, according to a statement from the Ministry of Urban Development. Meanwhile, the government's indirect tax revenue collections jumped 37.3% at Rs 49993 crore in May 2015 over May 2014, according to provisional figures released by the finance ministry after trading hours yesterday, 10 June 2015. Central excise collections jumped 84.2% at Rs 21809 crore in May 2015 over May 2014. Customs collections rose 16% to Rs 15700 crore in May 2015 over May 2014. Service Tax collections rose 13.2% at Rs 12484 crore in May 2015 over May 2014. The government is scheduled to unveil industrial production data for April 2015 tomorrow, 12 June 2015. Industrial output growth touched a five-month low of 2.1% in March from a revised 4.9% in February on the back of an across-the-board slowdown in production. On the same day, the government is scheduled to unveil the consumer price index (CPI) data for the month of May 2015. Consumer price index-based retail inflation eased to a four-month low of 4.87% in April from a revised 5.25% in March. 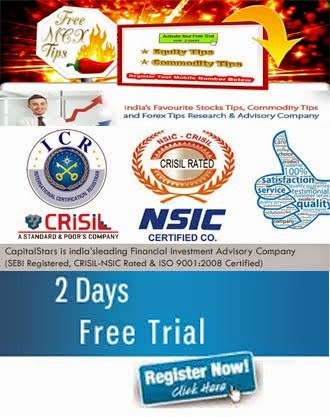 In today’s session we have seen call writing in nifty 8100 call so we can consider this as a strong resistance. BHEL 240 & 250 PUTS were so active, stock took profit booking from upper level. ZEEL 340 calls were in action today, stock showed us selling from upper level, more selling below 340. Selling opportunity below 294 stocks may show 284/278 level in coming days. Above 294 major resistances will be 300. Buy DISHTV above 98, stock may show 106/110 level in coming days. Below 98 major supports will be 94. Selling seen on the card below 265, stock may show 245/235 levels in coming days. Though long term buyers can accumulate the stock from dips. BUY ONGC ABOVE….? TGT…..?STOP LOSS……? SELL CANBK BELOW….? 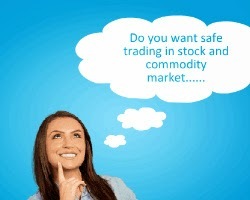 STOCK MAY SHOW 295/290 LEVEL IN COMING DAYS WITH STOP LOSS…? CapitalStars is a research house and an investment advisory company carrying out operations in the Indian Equities and commodity market. We generate intraday as well as delivery calls in Stock cash and F&O in NSE & BSE, Commodities including bullions, metals & Agro- commodities traded in MCX and NCDEX. CapitalStars provide recommendations Live through SMS & Chat room services. Our SMS facility is a very effective system which ensures the instant message delivery without any loss of time, so the clients get sufficient time to execute their trades in order to fetch maximum Profits. In this service we provide 30 to 35 stock Futures calls per Quarter (3 Months) in NSE with a high level of accuracy. HNI service is a highly personalized service with a one-to-one contact with the client. HNI calls are filtered after a lot of efforts put by the team of experienced analysts. 30 to 35 Calls per quarter(3 Months). CS HNI STOCK FUTURES UPDATE: INFOSYS FUTURES BUY CALL TG 3050 ACHIEVED BOOK FULL PROFIT.